Dakota Tiles are your one stop tiling shop. Mapei Adhesives and Waterproofing, Sigma Tile Cutters, Warmup Undertile Heating, Roberts Tools, Holer Grinding Equipment. A vast range of trade installation tools and equipment all at competitive prices. 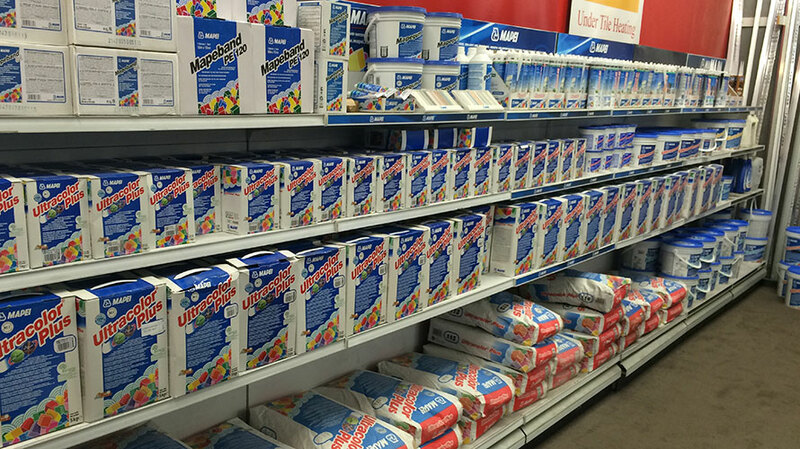 Dakota Tiles are Authorized Master Distributors for Mapei - today’s worldwide leaders in the production of adhesives, sealants and chemical products for building. Got a tricky job requiring more than your stock standard supplies? Come and see us. Commercial Projects - Bulk supply - Reseller - Talk to us today regarding your requirements. Dakota Tiles Trade - 22 Albert Street, Rangiora - open weekdays 7.30am – 5.00pm.